Trip cancelations open Tues, Weds, Thurs, next week! Limits on Shasta this moth on one of my single seats trips! An unfortunate situation for my Tues, Weds, and Thurs clients opened up some great fishing opportinuties for next week! 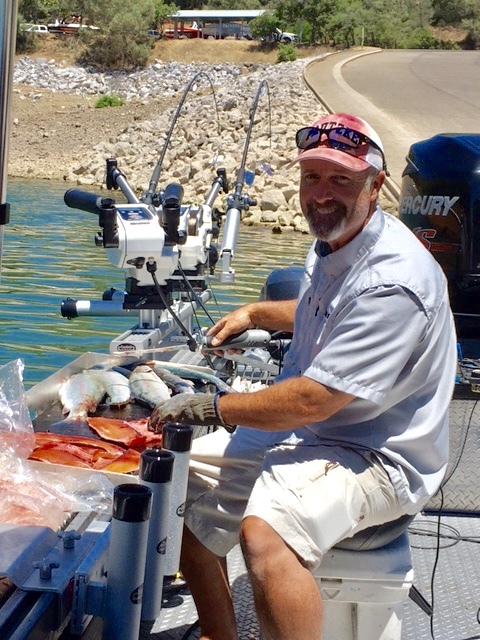 A two angler minimum for Shasta, Whiskeytown, or Trinity Lake gets the boat at single seat pricing! Book one day or book them all. I've been running numerous two day trips this year and we've been finding great fishing every trip! Fishing Shasta one day and Whiskeytown the next has been very popular. Trinity Lake hasnt been a big numbers lake, but we've been catching some nice King salmon this year so thats an option as well. Get on my website @ jeffgoodwinfishing.com and send a contact message with your trip request for one or all of the days available next week. These are the only July dates available to fish with me so don't miss out! Thank you! 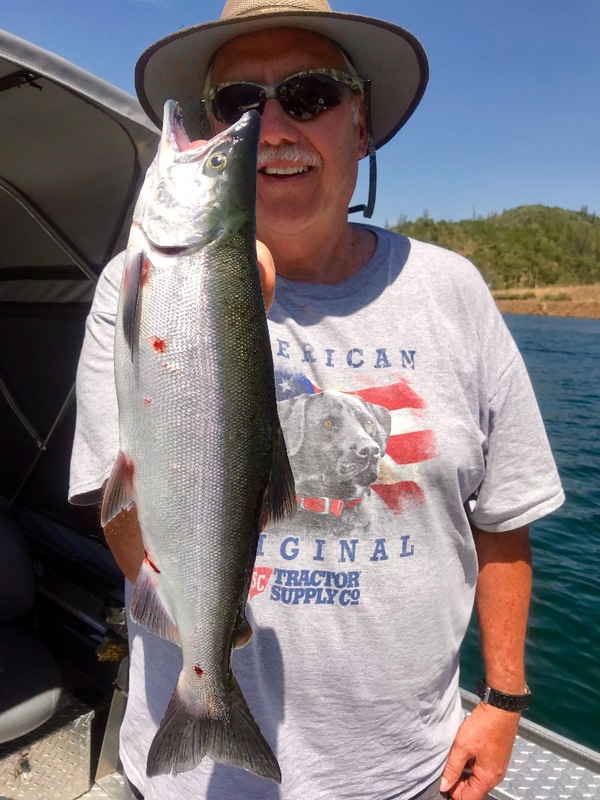 Whiskeytown Lake Kokanee still a good bet! 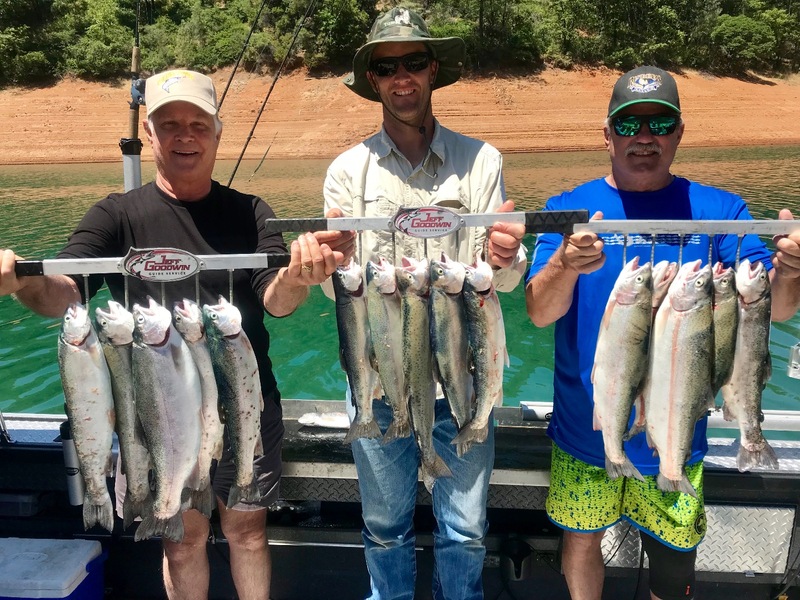 Hot bite and hot weather on Shasta Lake continues!